LG STYLO 4 Apn Settings. 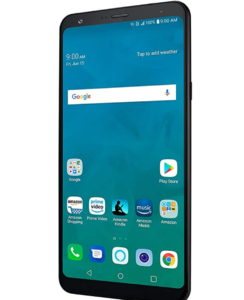 If you are one of the lucky owner of the powerful LG Stylo 4 phone and somehow cannot browse the internet or send and receive multimedia messages, this is the article you should read! Being one of the top selling smartphones on amazon, the LG Stylo is equipped with a huge 6.2″ FHD+ FullVision display (2160×1080) with 18:9 aspect ratio. Coming with 32 GB RAM which allows you to load tons of apps, music and videos. It also feature an amazing 13 MP rear camera, with a 1.8 Ghz octa-core processor. You should see now Networks, then Hit More and Mobile Networks. From this menu, you will see the Access Points Names menu. This is where we want to go. The APN Option seem to be gray out, can you help? Click on the 3 dots at the top right corner and pick add apn then you should be able to enter them.